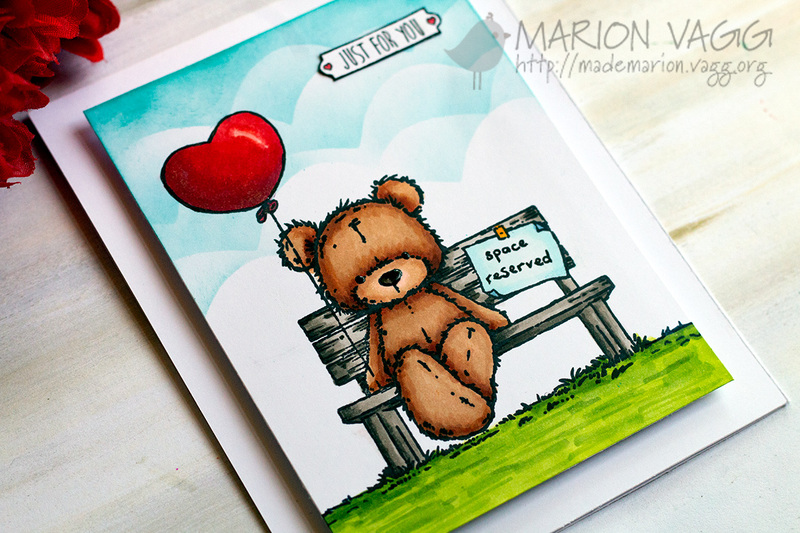 I have been working on a cute little bear card this afternoon and I am really happy with the results. The bear is Bentley Bear designed by Adam Pescott and it came as a freebie set of cling stamps with the Cardmaking and Papercrafts magazine a while back. I had used most of the stamps and posted them here but I didn’t get around to using this little cutie until today. 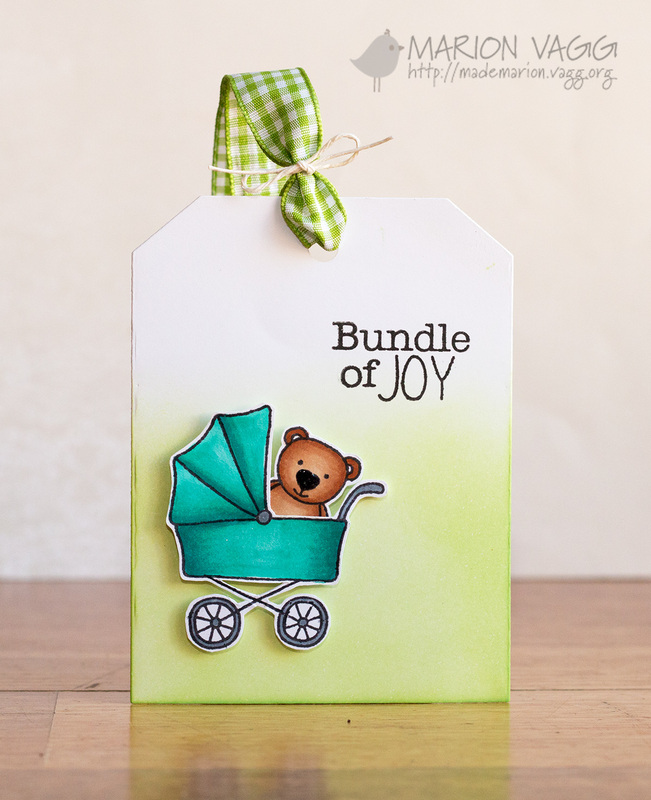 I thought it would be great as a new baby card. 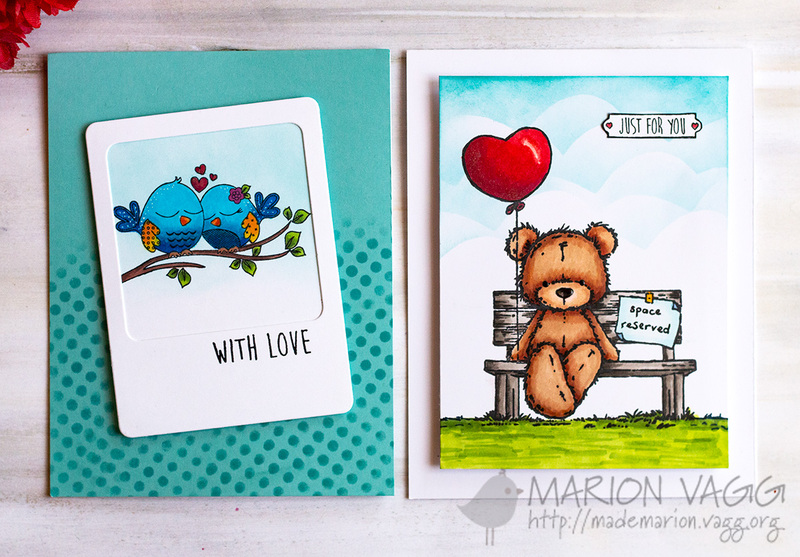 Seeing how the colours I have used are pink, white and brown (Bentley is brown) I decided to enter it in as my second card to the Scrapbook Boutique October Colour Challenge as well. 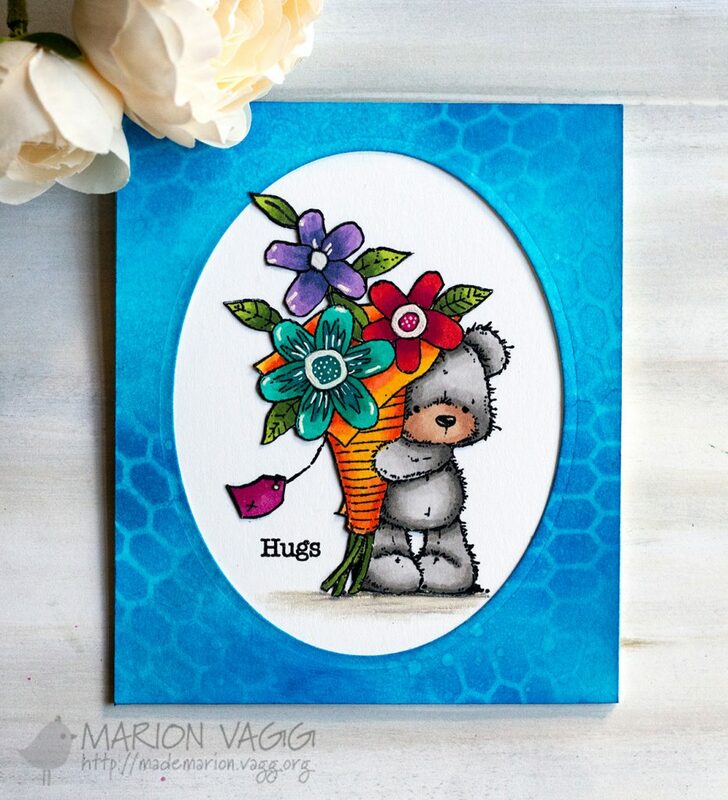 I am really pleased with how the flowers and bow worked out – thanks to Jennifer McGuire’s simple video instruction over at The Hero Arts Blog (it is on the end of her video about inking ribbon). 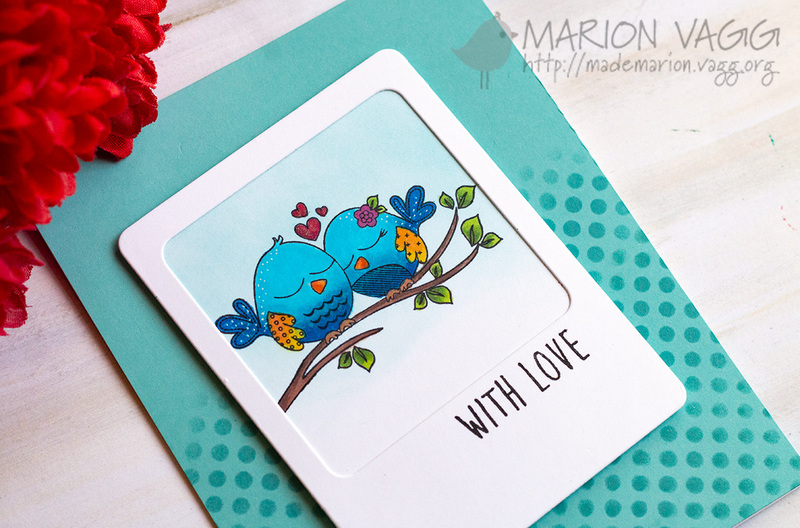 I have also never used lace before – but see it on so many other beautiful cards, I thought it was high time I tried!! Other Supplies: Prismacolor pencils, Gamsol, stubbs, brown twine, white ribbon, Kaisercraft white flowers, S.E.I button, DMC pink thread, Wendy Irving “New Arrival” rub on, foam dimensionals, Zots adhesive dots, sponge daubers, white lace, pink gingham paper (not sure which brand), Glossy accents. 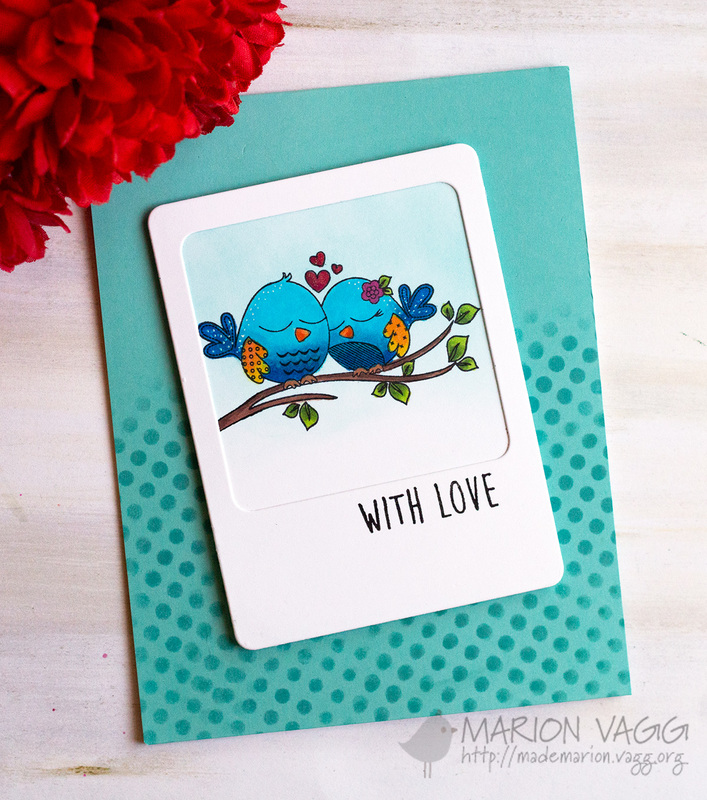 Well I have recently come across another card blog challenge that I thought I would enter. Check out the Case Study Challenge #3. Each month there is a muse who provides inspiration for us to create a card or project of our own. 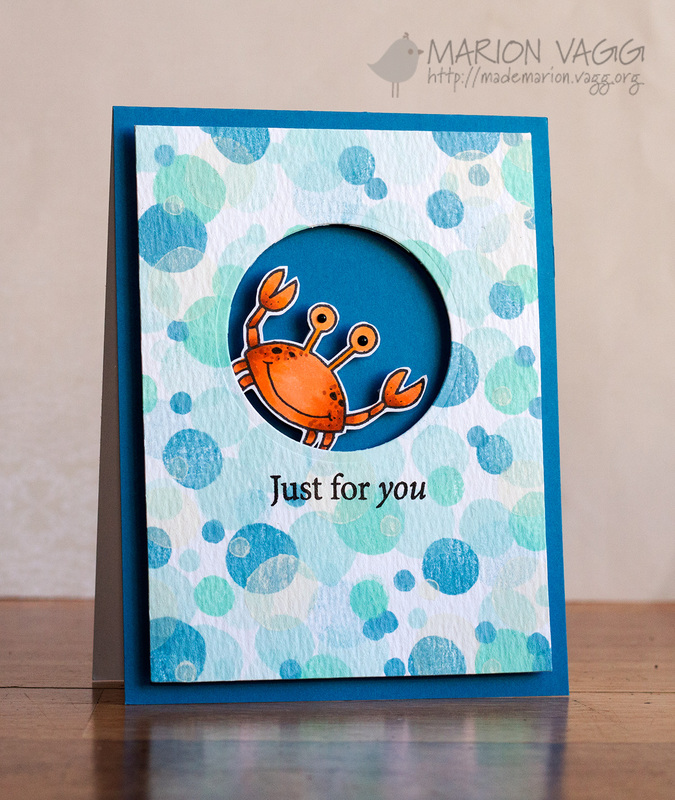 This month’s muse is Maki Jones….my, she is one talented lady!! Anyway this is Maki Jones’ inspiration card. 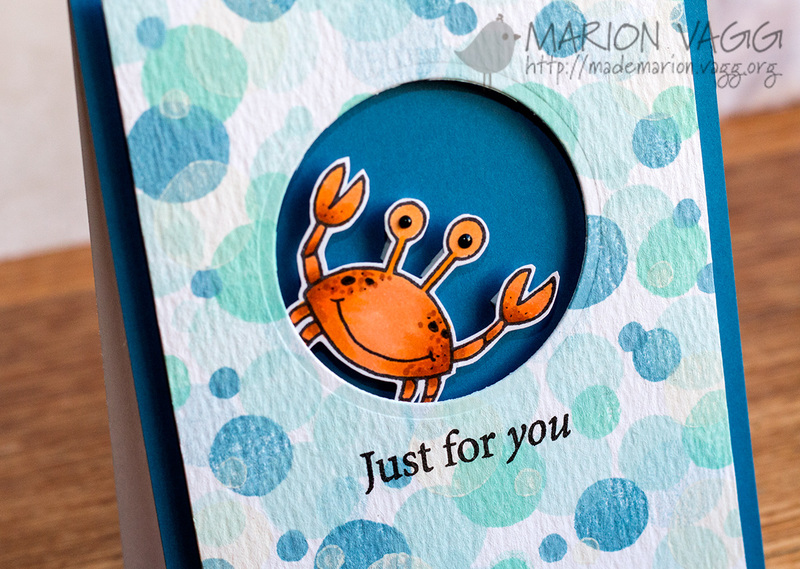 …and here is my card. This is my first attempt at using a digi stamp. 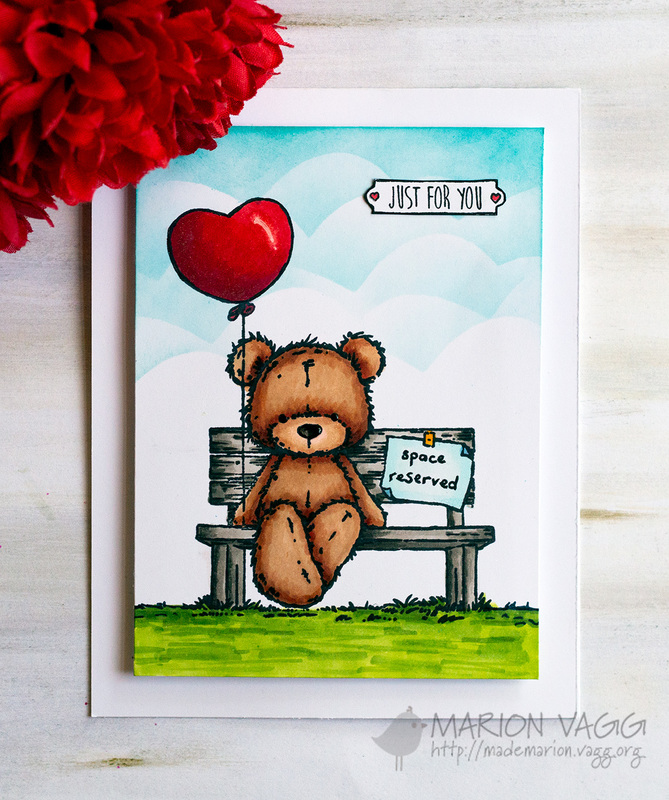 I found this cute little bear called Coco at the Digistamp Boutique. I coloured him in with Derwent pencils and Gamsol. To make the flowers shine, I used Glossy Accents. Supplies: Regal Craft white textured card, K@Company patterned paper -Life’s Journey Pansy, Bazzill cardstock, white cardstock, Derwent pencils, Gamsol, Glossy Accents, Kaisercraft flowers, Kaisercraft pearl embellishments, Kaisercraft “thanks a bunch” rub on, Versacolor ink – umber, sponge dauber, foam dots. The other day and picked up myself a copy of a UK Card making and Papercraft magazine (June issue). Included in the magazine were some free clear stamps of Bentley Bear designed by Adam Pescott. I didn’t think that they would be very good, but nevertheless I decided to have a play around with these cute teddy bears and I am really happy with the results. I used Gamsol to colour in the images. Gamsol is a GREAT product for making colouring in look soooo much better as it gets rid of the streaky lines by ‘melting’ the wax to create a watercolour effect. Check out how to use it here. Supplies: White cardstock, patterned papers (no idea what brand as I have had these in my stash for ages!! ), Derwent pencils, Gamsol, Tuxedo Back Memento Ink, foam dimensionals, Versa Colour ink (blue, purple and pink), ribbon (grosgrain and sheer ribbon), Creative Memories circle and oval cutters, Pebbles Inc “Happy Birthday” rub ons, Kaisercraft gems, tiny love heart stamp (as I made my own patterned background on the pink one), Glossy accents. I made the balloons and the cake stand out by using some foam dots and on each of the noses I used Glossy accents to give it some shine. I didn’t have any blue ribbon that matched so I inked up some white sheer ribbon.